"Love it!" 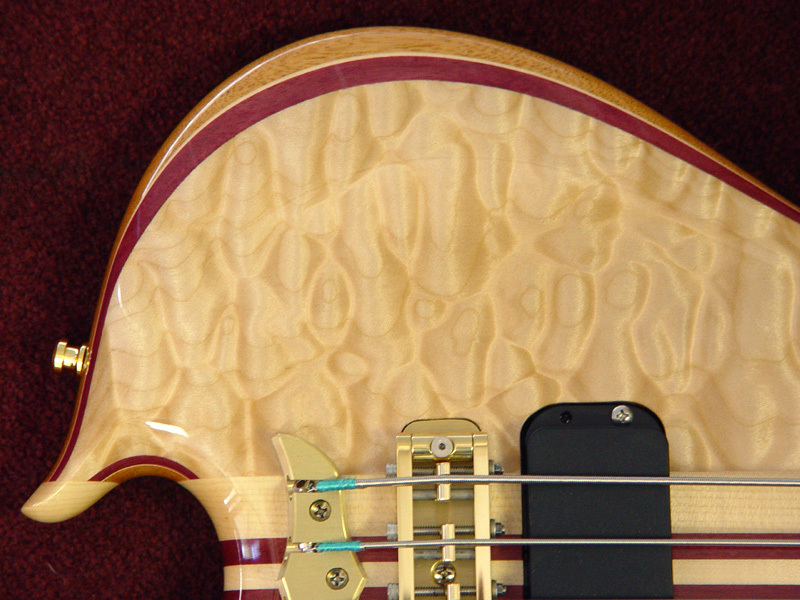 That's what we all exclaimed when this bass was finished. Every aspect of this bass coordinates so well with the next. 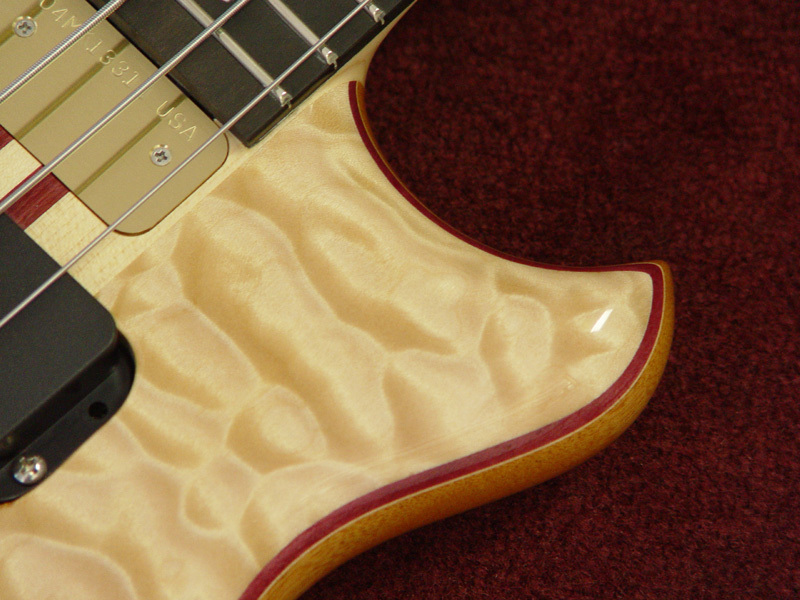 The Quilted Maple has depth and dimension, it dances as you move. 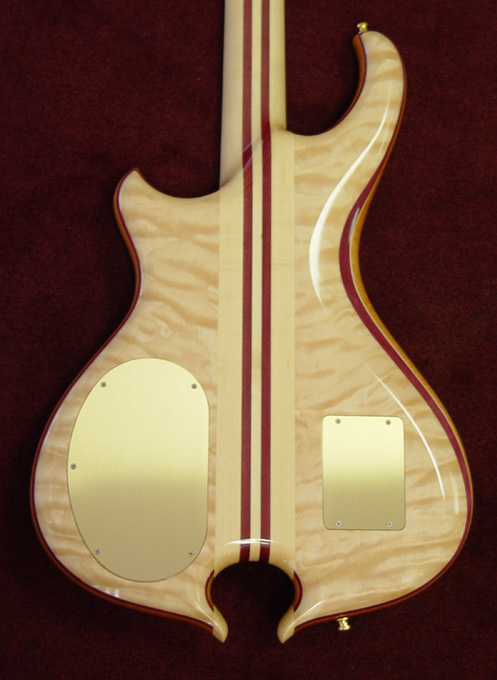 With a double accent laminate of Purpleheart with a Maple pinstripe, the wood combination is magical. 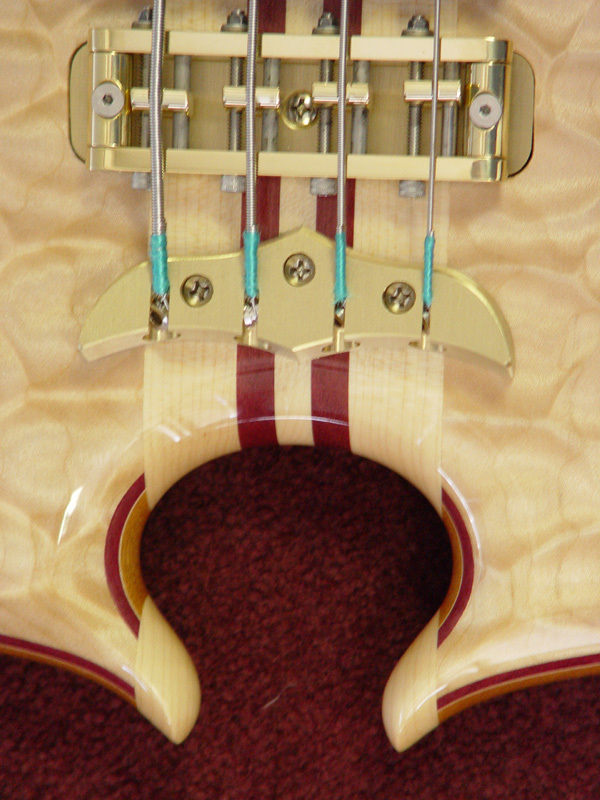 Our new Balance K body has all the heritage of Alembic but with greatly reduced weight and improved balance. This version also has tummy and elbow carving for even greater comfort. 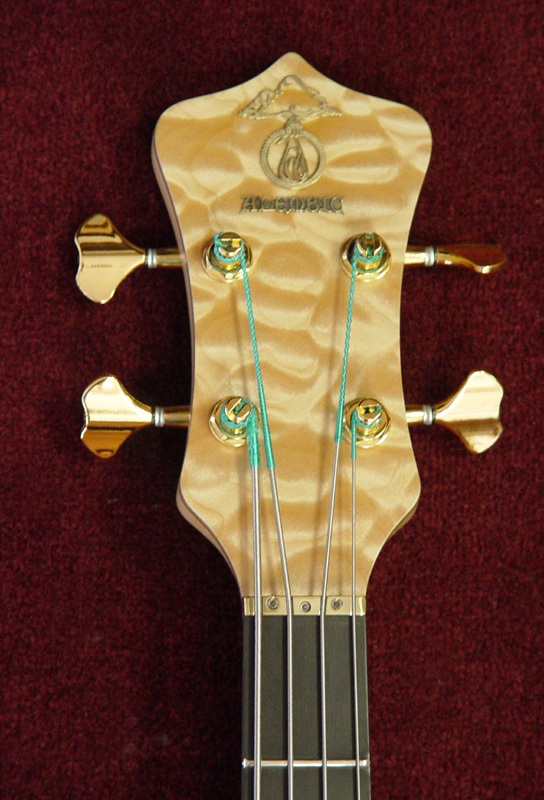 This is an easy bass to play, enhanced with a satin finish neck feel.